Home / Latest news / Want to know what it's like on a baking course? 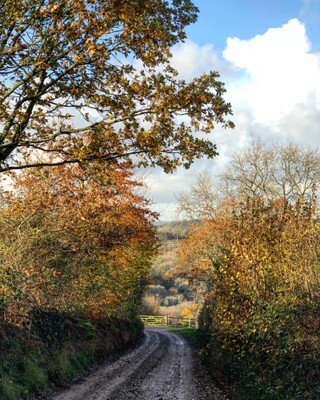 For those of you that missed River Cottage course tutor Lucy Brazier's takeover of our Instagram feed earlier this week, we thought we would share it again on our blog. 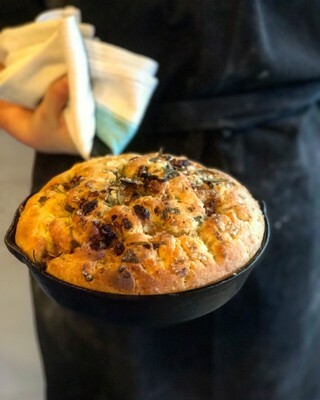 We hope it gives you a feel for not only what it's like to attend one of our cooking classes, but also for the kind of content we share on Instagram if you don't already follow us on it. Enjoy! 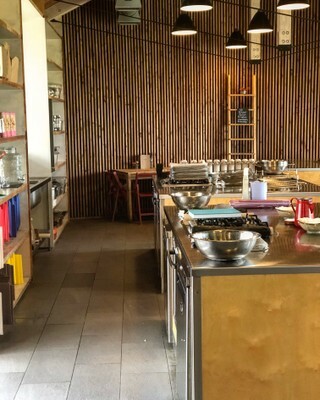 The calm cookery school before the floury storm. From the very beginning we have made our own bread, sharing the skills in our beloved signature baking courses. This time of year it gets an inspired festive dusting which ignites my ridiculous Christmas obsession. I am ready to make loaves, brioche, breadsticks, focaccia and most definitely doughnuts. 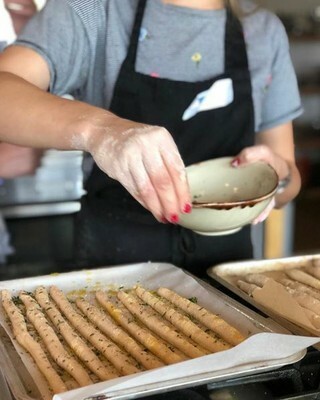 Breadsticks, or grissini, are a joy to make. 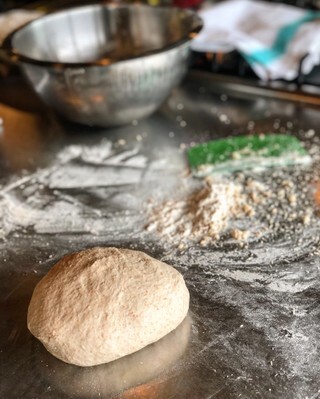 A good dough, some focused rolling out, a dousing of oil with a liberal scattering of Dorset sea salt and freshly chopped herbs. Baked for longer than we expected and left to cool, we dipped them into beetroot hummus and used them to scoop up mushroom pate. With a slug of Kingston Black Apple Aperitif to give a Christmas tingle and faintly rosy cheeks. Or maybe that’s just me. The farmhouse holds a special place in my heart. It’s where we entertain guests, hold meetings and find quiet spots to work. 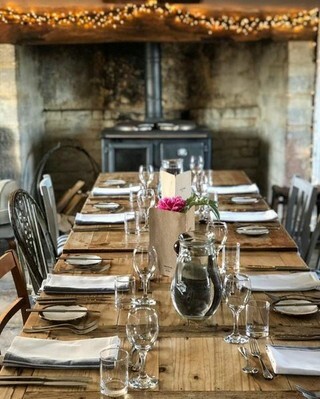 We have filmed a lot here over the years and most weekends we host celebratory long table suppers. It has to be many things to many people. Today it’s a place to eat in the midst of a busy course and I think that’s when it’s at its very best... I’m going to leave you here but thank you for following me today.